What Solar Panel Types are Best for Your Home? If you’ve already begun shopping the different types of solar panels, you’ve probably noticed that they don’t all look exactly alike. But it’s not just cosmetic—solar panels don’t all perform the same either. Wondering which types of solar panels are best for you? Much will depend on your price range, roof space, and access to sunlight. Let’s look at the major types of panels and what you need to know to be a smart solar energy shopper. Solar technology has advanced tremendously since then. But if you look “under the hood” of most solar cells, you’ll find they find they contain the same basic element that was in the Bell Lab discovery: silicon. Silicon is not only in solar tech. It is one of the most important elements of the computer age. Who hasn’t heard of Silicon Valley? Silicon is a semi-conductor material used in most microelectronic technology. We use silicon as a semi-conductor because it is very abundant on the planet. Silica (a form of silicon) is a main component of sand. One of the very cool things about silicon is that it grows into nice, even crystals in a lab. Manufacturers then process the crystals into computer chips. In fact, you may have heard the term “crystalline silicon” to describe the technology within today’s most commonly used solar panels. Solar panels are made up of crystalline cells. 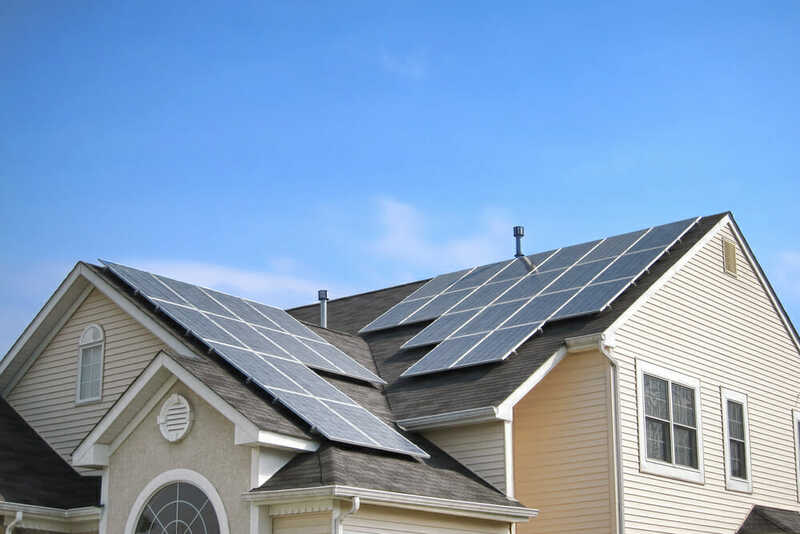 A typical home rooftop solar panel contains up to 40 solar cells. There are two main types of solar panel cells: polycrystalline and monocrystalline. It’s good to understand the difference between the two because your choice will determine cost and the amount of roof space your solar installation requires. Polycrystalline types of solar panels were developed first. These cells can be recognized within a solar panel for their rectangular shape, created when silicon is melted and poured into a mold. The industry manufactures polycrystalline solar very effectively, as little silicon is wasted in the process. This contributes to the competitive pricing of polycrystalline solar panels. But polycrystalline cells are not as heat tolerant or efficient as the monocrystalline cells More specifically, they don’t make as much electricity from the sun that shines on them. Monocrystalline cells tend to achieve higher levels of efficiency because they are made of more pure silicon. (You’ll notice a uniformity to their coloring.) Their cylindrical shape also helps these cells achieve higher efficiency. To make them, solar manufacturers carve silicon ingot into wafers. In the process, they smooth and round the cell edges. Because their form and content helps them produce more electricity, you need fewer of them. But monocrystalline cells also cost more to manufacture than polycrystalline solar panels, so they are more expensive to purchase. On the other hand, they tend to last longer, and they often come with long warranties. You’ve probably heard of thin film types of solar panels, too. They are newer and less frequently used for homes. But they are growing in popularity. The thin film gets its name from how it’s produced—layers of semiconductor materials (silicon, cadium telluride, and copper indium gallium selenide) rolled out as a film on a surface. Thin film solar tends be less efficient than crystalline solar panels, and it requires a lot of roof space. It also tends to degrade more quickly, so companies may offer shorter warranties to homeowners. But thin film is also inexpensive and more flexible than crystalline solar cells. It can be manufactured into shingles. So for those who don’t like the aesthetics of solar panels, thin film is a good alternative. Keep in mind that solar manufacturing is a very competitive field. Researchers keep coming up with ways to make solar cells more efficient. The latest technologies use solar inks, dyes, mirrors, and plastics. Take a look at this chart by the National Renewable Energy Laboratory to see how far and how fast solar cell efficiencies have grown. You’ll also want think carefully about which kind of inverter will work best with your system and roof. Inverters convert the DC electricity that comes from the solar panels into AC electricity that is usable in your house. String inverters are the most common inverters found in home solar systems. And not surprisingly, they also happen to cost the least. They are ideal for well-lit roofs with little shade and a flat plane. The term “string” refers to the way the solar panels are situated when they are connected to this kind of inverter. The panels are arranged in strings connected parallel to each other and then tied to the inverter. String inverters are an older technology compared to power optimizers and microinverters. Often described as module level power electronics (MLPE), they represent a newer innovation that offers certain advantages where string inverters fail. Specifically, MLPE’s can maintain high efficiencies on roofs that have multiple levels or partial shade. Microinverters convert power from DC to AC within each panel. Sometimes a solar panel comes with the microinverter embedded, and other times the inverter is added separately. Microinverters offer high efficiencies because a panel on a shaded part of the roof doesn’t block energy flow from a solar conversion occurring within a panel on a sunny portion. This is a benefit of each panel operating autonomously. Like microinverters, power optimizers are embedded in the solar cell. So they also perform well where roofs are partially in shade. But the electricity from an optimizer goes through an additional step, one not undertaken by the other kinds of solar cells. When power leaves the power optimizer cell, it undergoes a conditioning, which leads to higher efficiencies for the cells. Microinverters represent the most expensive of the three conversion technologies. Power optimizers are less costly than microinverters, but more costly than string inverters. You will need to think not only about the type of solar panel that best suits you, but also how you want it mounted. Most likely you’ll go with a flat mount—most homeowners do because they have pitched roofs. But if you have a flat roof or if your panels will be installed in your yard rather than your roof, you may choose to mount them on trackers. What’s the advantage of trackers? They move your solar panels so that they can follow the sun, usually via a motorized mechanism. This makes the panels significantly more efficient—as much as 25 to 35 percent—especially if a roof is shaded during part of the day. But again, with increased efficiency comes increased cost. Trackers can add several thousands of dollars to the cost of a residential solar installation. Having the basic background provided in this article will help you make an informed solar PV purchase amongst the different types of solar panels. Be assured that you do not have to be an expert in solar cells, inverters, and trackers to enjoy the benefits of a solar PV system. 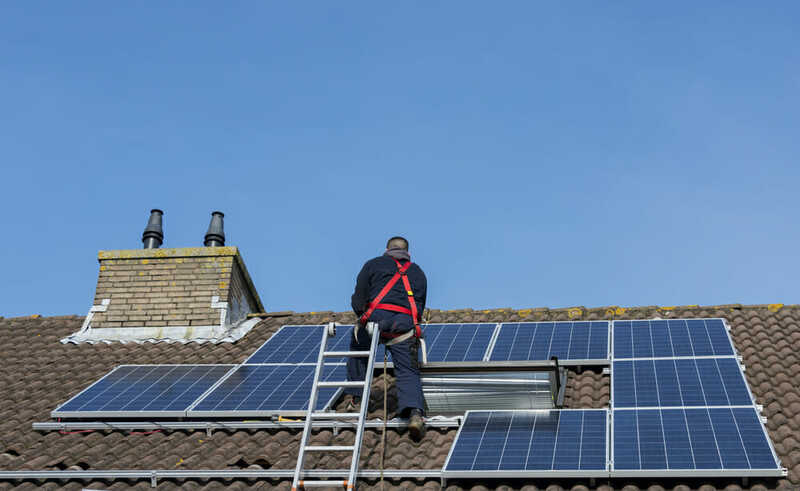 Look for a reputable and experienced solar installation company that will guide you as you choose the solar equipment that best suits your living arrangement and find the best types of solar panels.